Ho Ho Ho! 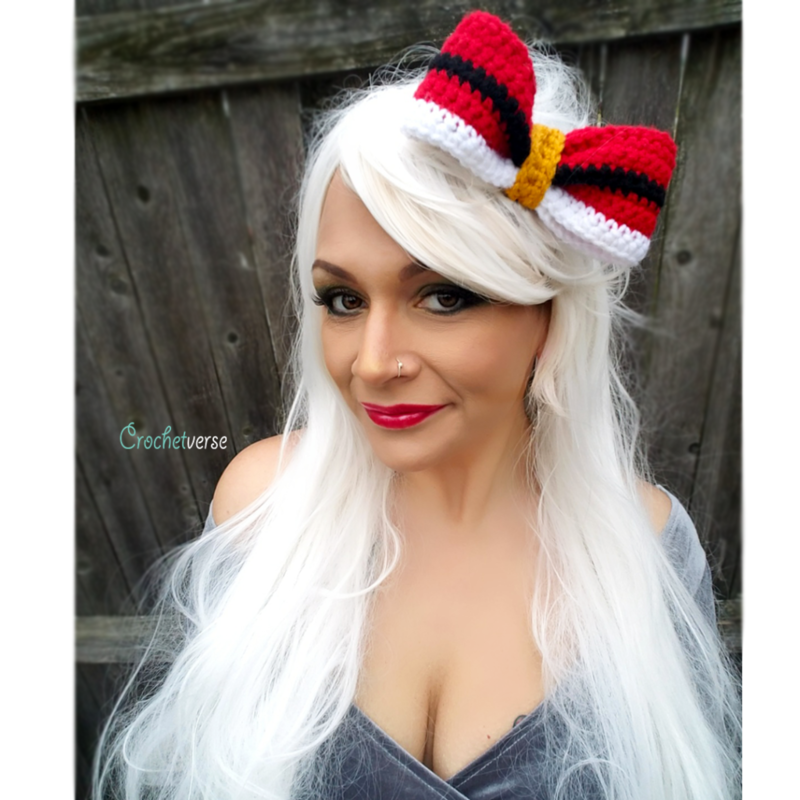 It’s a Crochet Santa Bow! Make this super easy and super cute bow with me! 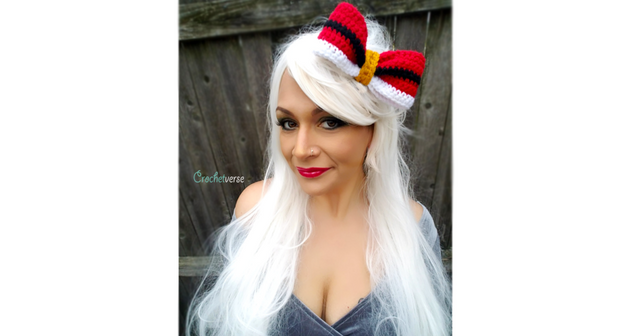 You can sell any completed bows you make from this free pattern. 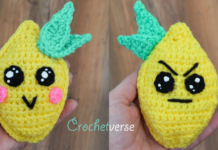 I’d love if you’d mention Crochetverse as the designer or share the link to this page! Please do NOT copy and paste the information and share it, claim it as your own, sell the pattern, or post the information elsewhere. Instead, please share the link to this posting. 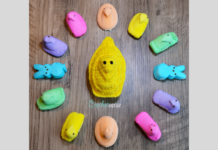 I know it doesn’t seem like much, but each of your visits to my site not only means the world to me but allows me to continue to offer free patterns to you! So much love and ENJOY! About 6.25″ wide and 2.75″ tall, Red Heart With Love is on the thicker side of worsted, subbing in other yarns will slightly alter the size of your finished bow. Weave in all ends on the main bow except the long red beginning tail. 2. With the right side of row 10 of the main bow facing out, use the long beginning tail of red and sew both the short ends of the strip together. 3. With the seam from sewing the main bow into a tube in the center and back, pinch the center of the bow from long edge to long edge to create a bow shape. Wrap the gold middle cinch piece around the pinched middle section of the main bow and sew the short ends together behind the bow right along the same seam you closed the main bow with. I ran the gold yarn tail in and out of the bow up the middle as well to secure it in cinched position even further. 4. Weave in any remaining ends. 5. I just used bobby pins to attach for wear. 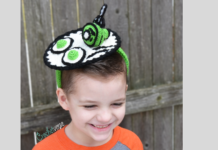 You could hot glue it a headband, metal clip, comb, or even sew a rubberband on the rear side for wear. Please head to my Facebook page http://www.facebook.com/crochetverse and show me your new beauties! Previous articleFree Crochet Fingerless Gloves Pattern – Heart in Hand!